It is true that Gazans are suffering. Nevertheless, it is wrong to argue that the Gazans should not suffer the consequences of Hamas' criminal actions. Unfortunately, Hamas was popular among the Gazans and continues to be so. Moreover, all polls show that Gazans support violence against Israel. What moral justification exists for helping people that support an organization intent on destroying the Jewish state and is actively engaged in killing innocent Israeli citizens? Furthermore, we should not forget that the essence of war is a competition of inflicting pain in order to change patterns of behavior. Actually, pain may have a positive value in affecting the learning curve of the warring sides. Israel has tried to influence the learning curve of the Palestinians that aggression against Israel does not pay and that support for Hamas could be costly. Exacting a high cost from Hamas and the Gazans may lead them to more peaceful behavior. It is true that it is difficult to influence the learning process of large collectives, but this has occurred before. For example, it took a lot of suffering in World War I and World War II to transform German society into becoming less militaristic and less belligerent. While not politically correct, such treatment might be the recipe for turning the Palestinians into peaceful neighbors in the long run. Moreover, economic aid to Gaza, as long as Hamas stays in control, strengthens its power and its grip over the poor Gazans. Allowing the continued rule of Hamas, as the US plans, also undermines the rule of the more moderate Palestinian Authority (PA) leader, Mahmoud Abbas. Indeed the PA also criticized the Kerry cease fire proposal that favored Hamas. However, this clear strategic rationale seems to be taken over by sentimentalist responses to Hamas media manipulation. Instead of using the depressing pictures coming out of Gaza to tell Gazans: "We told you all along that Hamas leadership would only make things worse" (just as it has in other places where radical Islamists gain power), Western leaders seem to have foolishly decided that Gaza should speedily be rebuilt! The US efforts to bribe Hamas into behaving (while suspending aid to Egypt), are probably against American laws dealing with terrorist organizations. Promises of aid send the wrong signal. It tells Palestinians that their leadership can make grave, deadly mistakes, and nevertheless gullible Westerners and others will bail them out. It also signals to Hamas that it can continue seeking the destruction of Israel and shooting at the Jewish State; for if Israel repeats its military action, merciful donor states will repair the damage yet again. Diplomats are looking for formulas that will enable channeling aid to the Gaza Strip bypassing Hamas. Realistically, there is no way to reconstruct Gaza without strengthening the Hamas. The reconstruction of Hamastan in Gaza — an Iranian base that threatens Israel and many moderate Arab regimes — makes no strategic sense. More importantly, Hamas has used aid to enhance its military capabilities. It built an infrastructure to produce missiles and a network of tunnels. 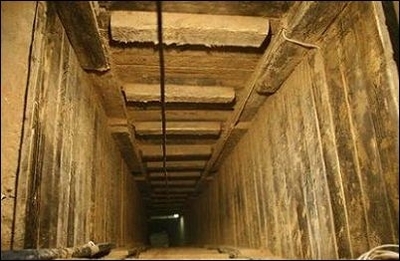 The home-made missiles are relatively cheap, but according to IDF estimates, the cost of each attack tunnel is approximately $3 million. All this adds up to millions of dollars. America helped reconstruct Western Europe and Japan after World War II to make sure they would be ruled by friendly democratic regimes. Hamas is authoritarian and anti-Western. Moreover, its rule will doom the Gazans to continuous poverty and ignorance. It is simply senseless to facilitate the continuation of Hamas rule. The history of humanitarian aid in the last century shows that outside economic aid is only as good as the ability of a recipient's economy and government to use it prudently and productively. Like many Third World countries, Gaza lacks the legal and institutional infrastructure needed for the effective dispersal of economic aid. Billions of euros transferred to the PA since the Oslo Accords have been squandered and misused by corruption and ineptitude. Very little aid has filtered down to the people. Therefore, it is not at all clear that sending more money to the dysfunctional Gaza will do any good. From what we know of the fortunes of the humanitarian aid transferred to the Gazans in recent years, it is clear that external aid will be siphoned off to the corrupt Hamas leadership. Khaled Mashaal, and Musa Abu Marzook are evaluated to be billionaires, while Ismail Haniyeh, is only a millionaire. Prof. Efraim Inbar, director of the Begin-Sadat Center for Strategic Studies, is a professor of political studies at Bar-Ilan University, and a Shillman/Ginsburg fellow at the Middle East Forum.